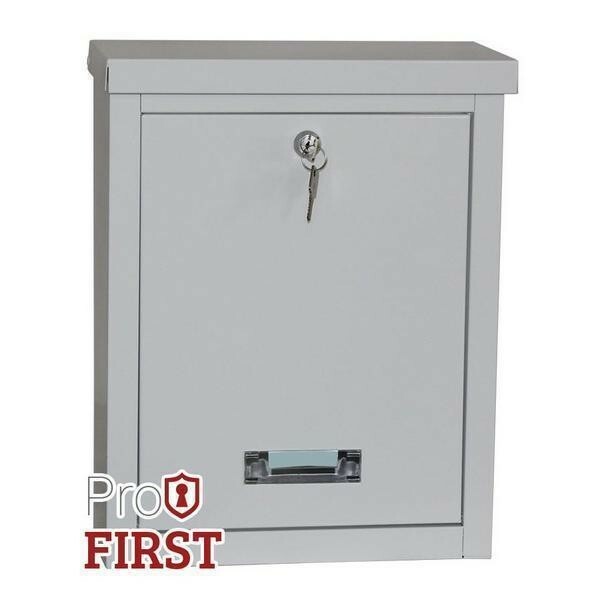 The Pro First 470 Mailbox is very popular, it will take A4 sized post via it's top loading slot, mail can be accessed via it's big pull down door, it also has a little name window on the door. Made from high grade steel, secured by a key lock supplied with 2 keys. Available In White, Black, Red and Stainless Steel. Easy access to contents via full drop down door. Made from high graded steel.